The next The Holo Hookup box is here! 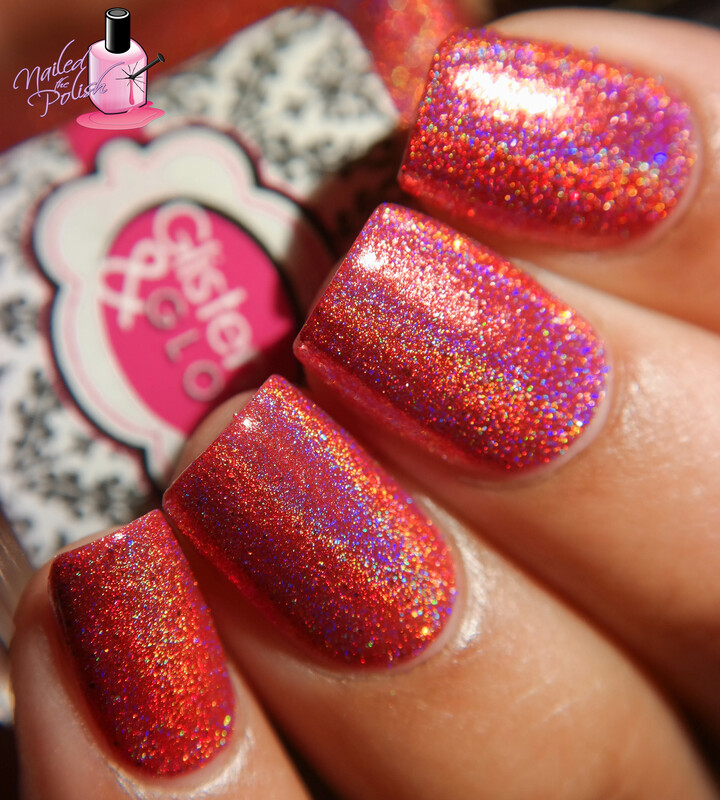 This indie collaboration includes Cupcake Polish, Different Dimension, and Glisten & Glow as constant contributors with a new guest maker and theme each month. The theme for February 2016 is ‘Elements’ and features guest maker Takko Lacquer! 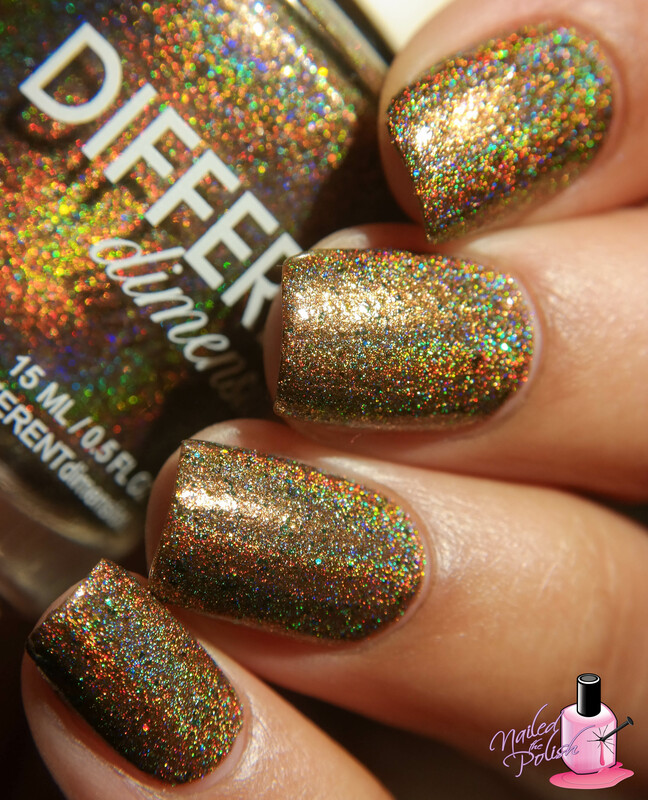 Earth is a rich golden brown linear holo with added multi-chrome flakies, as well as blue and green holographic micro-glitters. Shown here is two coats plus top coat. Formula is fantastic as is this polish! Different Dimension always makes the best brown polishes 🙂 I am so obsessed with the added multi-chrome flakies in this polish! Last up is Water – a beautiful light aqua linear holo with intense gold shimmer. Shown here is three coats plus top coat. I had a slight visible nail line after the second coat which covered right up after the third coat. The formula is very easy to apply and control. It levels and dries very well so three coats was a breeze! I loooove the added gold shimmer in this polish. It reminds me of sun gleaming through the water – so pretty! I swear The Holo Hookup can do no wrong! From the moment I laid eyes on this box, I was hooked! This has been my favorite theme to date and each maker did an exceptional job interpreting their respective elements. Formulas are wonderful all across the board with no issues to report. This box will only be available during the week pre-order starting tomorrow January 21st at 9pm EST ending Thursday, January 28th at 9pm EST. Wow. These are all amazing!